I've been choosing a word to guide my year since 2008, when I first discovered Ali Edwards' blog. Way back then, my very first word was PLAY. It seemed to fit where I was at in my life, with a young baby, school age kids, and a husband who worked all the hours he could. And as a guidance, the word worked. While it may not have been present every second of every day, just reminding myself regularly that this was how we were focusing to be better together was worthwhile. Since then, I've chosen a word every year, to varying degrees of success. But last year's BRAVE has to have been the most powerful word I have ever chosen for myself. It saw me trying out new things, that just 12 months before I would never have dreamed of. So when SHINE started tapping on my shoulder last August while I was at the ProBlogger conference, I tried to ignore it. It was too early in the year to be letting go of BRAVE, and way too far away from the New Year for SHINE to appear. But even now, in February, SHINE is still whispering to me, telling me it's ok for my light to shine a little bit. 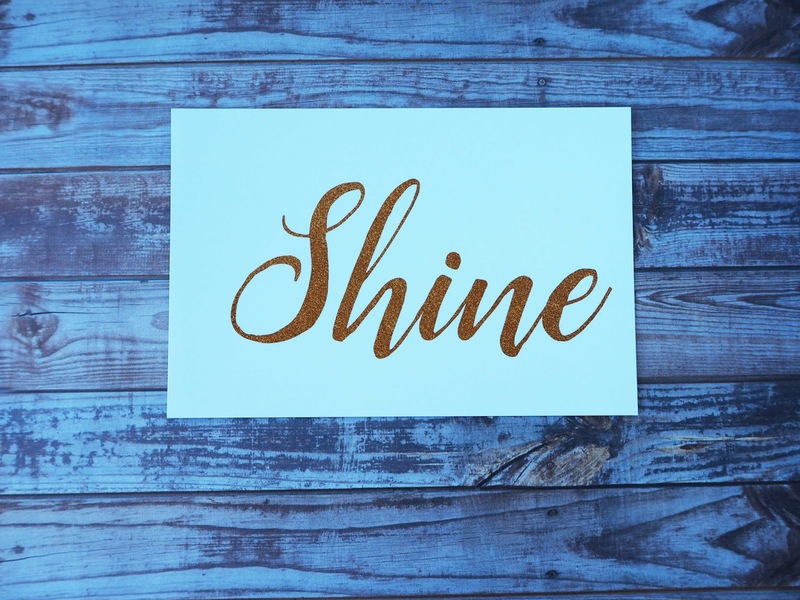 Here's to SHINE in 2016. Have you chosen a word for 2016? I haven't chosen a word this year. I still trying on this year for size. January really does feel like it went past in a blur. Shine is a great word to have! I will have to think about what my word can be for the year. Only one thing at a time is my general goal this year. It's hard.